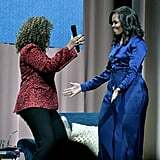 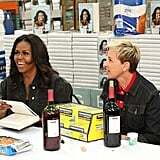 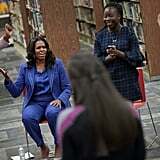 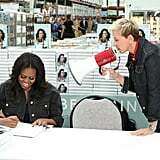 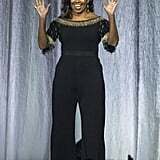 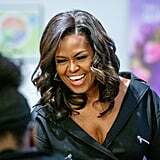 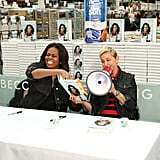 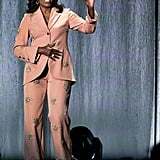 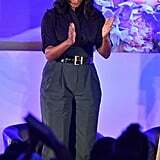 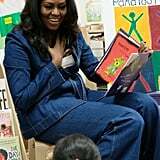 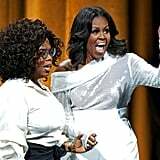 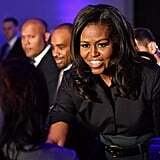 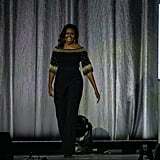 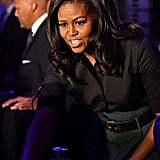 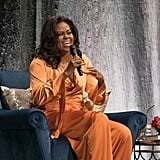 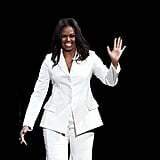 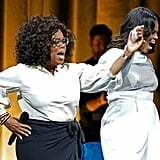 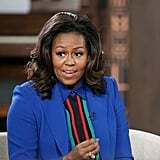 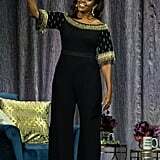 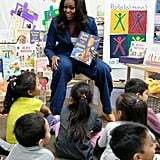 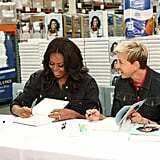 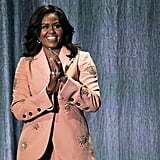 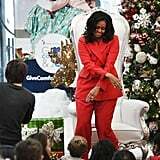 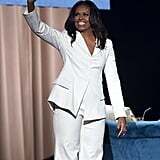 After being on the December cover of Elle, Michelle Obama has been spotted promoting her new memoir, Becoming, in sophisticated outfits. 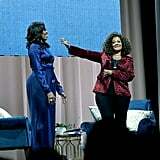 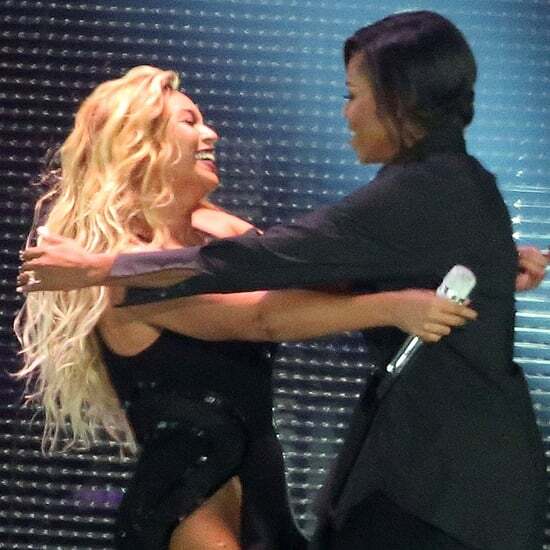 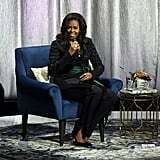 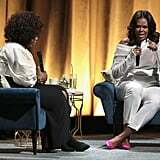 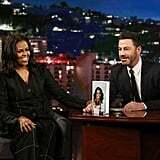 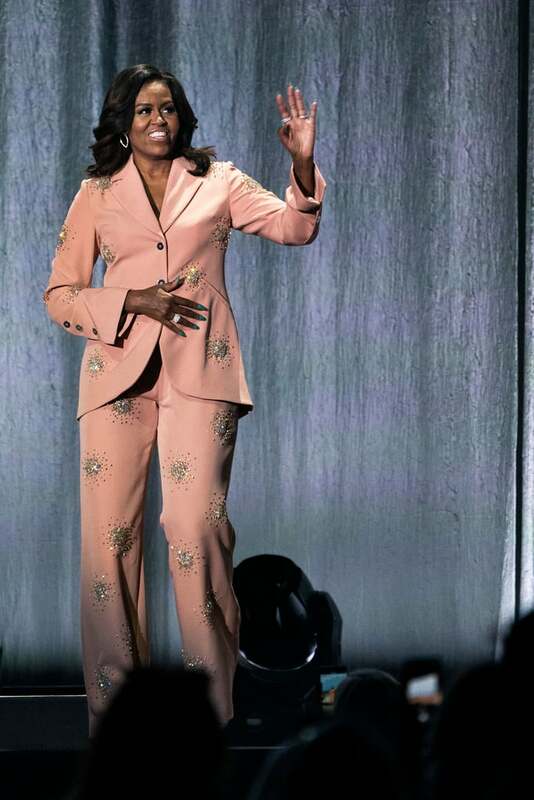 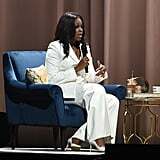 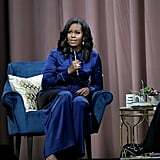 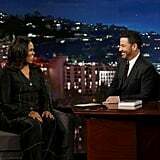 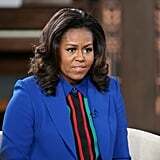 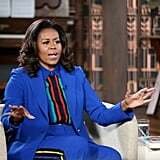 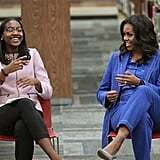 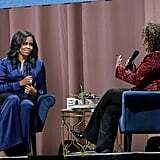 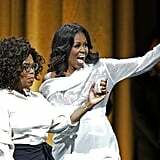 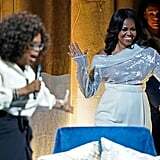 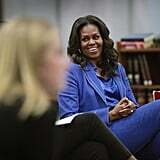 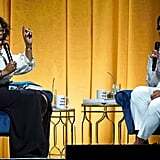 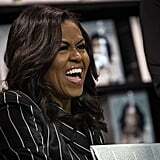 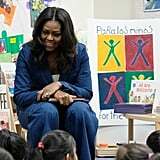 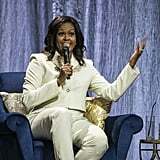 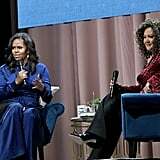 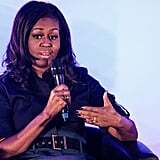 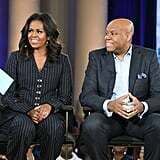 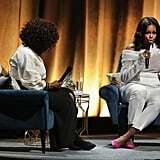 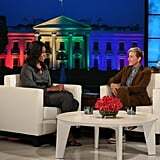 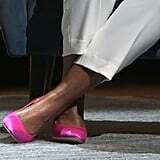 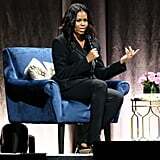 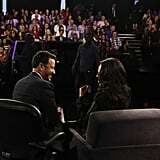 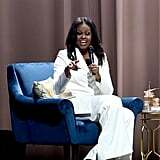 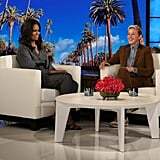 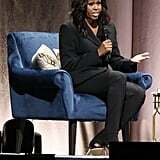 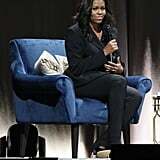 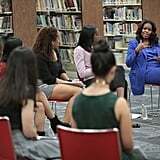 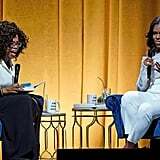 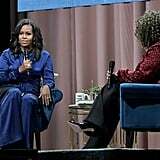 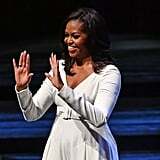 In the book, Michelle speaks openly about her White House style strategy, how she and Barack went to couples counseling, and the heartbreaking news that she suffered a miscarriage. 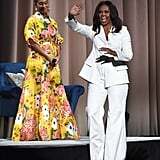 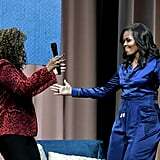 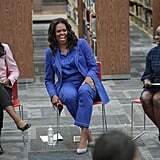 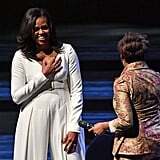 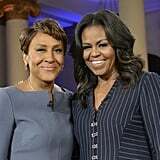 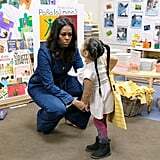 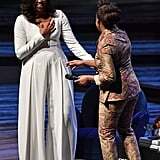 For her first stop in Chicago, Michelle opted for a blue cotton denim stretch long jacket and pants from Akris with Jennifer Fisher jewelry. 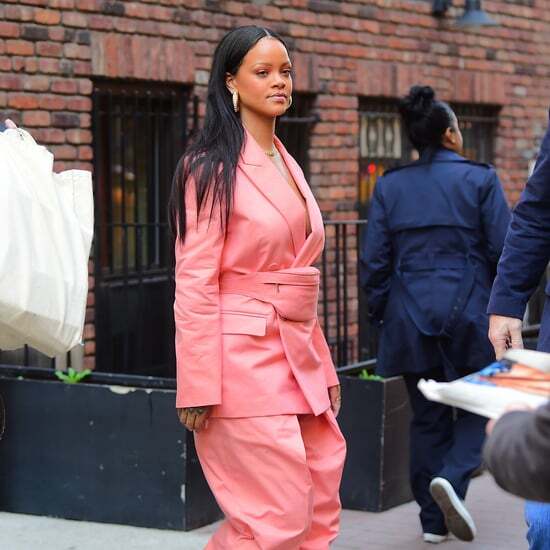 Countless appearances later, it appears she's got the chicest lineup of suits in the book, including everything from a bespoke Loewe design to custom, pastel green Acne separates. 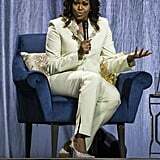 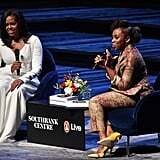 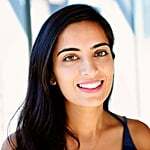 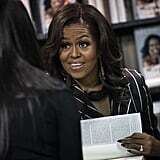 Keep reading to see all of her book tour looks.